If you are new to the world of CBD or vaping, you have probably asked yourself how to use CBD vape. If so, you are in the right place as in this blog we will look at precisely what CBD is, what CBD vape products are, and exactly how to utilize CBD for the best experience and overall results. In case you are not familiar with what CBD is precisely, let's take a quick look at this compound more in-depth before addressing the other aspects. There are more cannabinoids then just THC and CBD. 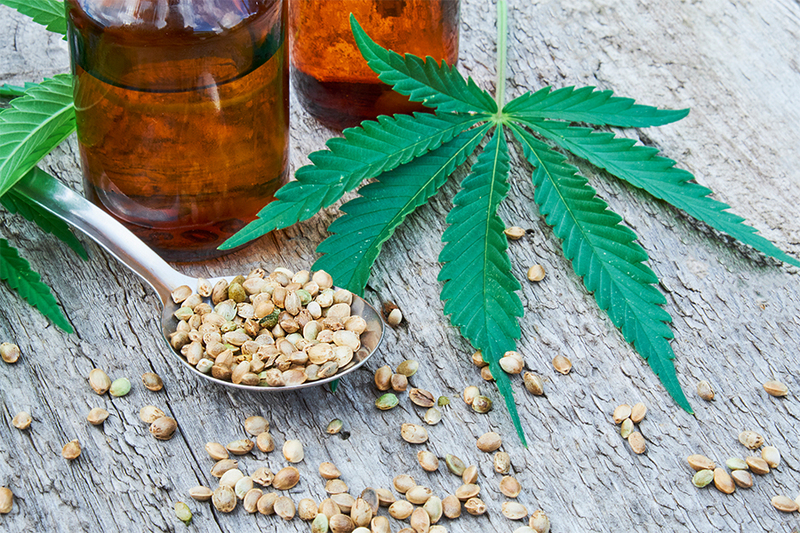 CBN, CBG, and CBC are some of the other essential cannabinoids present in industrial hemp. Like CBD these cannabinoids do not produce any sort of buzz, high, or intoxicating effects. The benefit of these cannabinoids is that they all hold potential medical attributes for consumers. There has been great controversy as to whether or not cannabis has any medicinal value. Israel has pioneered research in cannabinoid therapy that solidifies cannabis as a medicine. Other countries around the world are starting to acknowledge cannabinoid science and are changing draconian laws of the past in accordance. In the UK back in January of 2017, CBD regained recognition as a medicine when the British Medicines and Healthcare Products Regulatory Agency reclassified it as such. Information about the medical attributes of CBD and its potential therapeutic benefits for patients can be found published by many different credible sources like JAMA (Journal of the American Medical Association), the NCBI (National Center for Biotechnology Information), and others. CBD products are being sold across the UK labeled as food supplements and nutrition additives instead of carrying medicinal labels. This is because of a process known as marketing authorization or obtaining a product license. UK government has regulations for any product that is CBD and sold labeled as a medicine requiring them to obtain the proper license first. All CBD products are not created equally. There are a few different things you will want to know about CBD products before you dive in to this intriguing world. CBD is available in a wide variety of products. CBD e-juice or CBD vape oil and CBD tincture are two of the most popular forms you will find this cannabinoid in. CBD in these forms can be vaped, orally ingested, or placed into topical and transdermal lotions and creams. One of the more popular trends of CBD is vaping CBD oil. When purchasing THC products, it's important to remember to look at the bottle and pay attention to dosage information as well as the size of the bottle. The average 10 mL bottle of CBD Vape juice will contain an estimated 100 mg of CBD. That's not always the case though. Some 10ml bottles contain 250 mg of CBD or more. Bottles also come in different sizes ranging from 10 mL to 100 ml or larger. Most of the time the larger the bottle the higher the dosage of CBD. This means if you try a CBD that ends up being 300 mg per dose and love it but next time end up trying to CBD that is 100 mg per dose and hate it, it doesn't necessarily mean the product didn't work it could be that your tolerance requires a larger dosage. This information can easily be kept track of by using a journal to write down pertinent information about your CBD experience such as product name, strength, and dosage. If you've been looking over the world of CBD products online, you may have noticed a particular set of three letters. The three letters I'm talking about are FSE. FSE stands for full spectrum extraction. This means that the product contains not only CBD but other cannabinoids, as well as vitamins, minerals, and terpenes. Some people live by FSE CBD whereas others seem to enjoy a product containing only CBD. Science pertaining to this matter that circulates throughout the cannabis culture and community suggests that FSE or full spectrum extraction is more effective due to the presence of a broad spectrum of cannabinoids versus an isolated one. A broad spectrum of cannabinoids is suggested to be necessary in helping achieve the Entourage Effect. The Entourage Effect is a state where cannabis reportedly works at its most efficient level. The best way to know what's in your CBD is by only purchasing CBD products that have certified lab results. These results are often times available online via company websites and offer consumers a complete look at what is in their product. Some people are surprised to find that their CBD contains very little CBD and instead is packed with substances like melatonin. Now you have some basic information about CBD to help you make informed consumer decisions. Tens of thousands of consumers can't be wrong. When you're looking to try some of the best CBD brands in the UK you may want to check out some of the following CBD companies. The National Center for Biotechnology Information or NCBI has numerous studies and research papers published on the effectiveness of CBD as a medicine. The British Medicines and Healthcare Products Regulatory Agency along with the United States federal government have both recently reclassified industrial hemp opening new doors for research, products, and health care. Consumers can't seem to get enough of the stuff called CBD. They love CBD edibles, CBD vapes, CBD e-liquids, CBD tinctures, CBD concentrates, CBD coffee, CBD H2O, CBD lotions, creams, salves, and just about anything else you can think of infused with this hempsational cannabinoid. What Our Customers Really Think! What type of smoking pipe do you need? What is vaper's tongue? And how to stop it!